SALEM — State officials know of 160 doctors with suspicious prescribing patterns, but Oregon law shields those doctors from further scrutiny. Legislators put little teeth into a 2018 law that requires doctors to register for a program that monitors drug prescriptions. Doctors, for instance, face no sanction if they don't join, according to state officials. Doctors identified as perhaps improperly prescribing opioids only get a letter from the state suggesting more education. Doctors can — and do — ignore even those mild letters with no fear of a sanction. Under the program, retail pharmacists report prescriptions of controlled substances like Oxycontin and Xanax to the state within 72 hours of dispensing them. The state maintains three years of prescription data. The issue of prescriptions has been central to government efforts to reduce the number of overdose deaths attributed to opioids. In 2016, Oregon doctors wrote 3.1 million opioid prescriptions at a rate 13 percent higher than the national average. That year, 312 Oregonians died from an opioid overdose, a rate of about 7.6 per 100,000 people, according to the National Institute on Drug Abuse. Nationally, the rate was 13 people in 100,000. Oregon legislators in 2017 revised the state's prescription reporting system to flag doctors who prescribe high volumes of opioids or prescribe conflicting drugs. 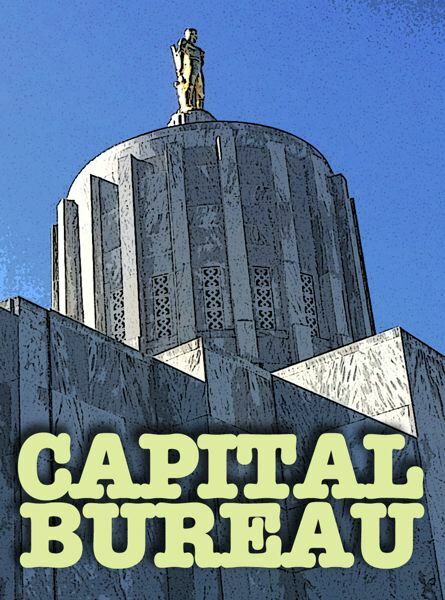 State auditors examining the system found instances of Oregonians "doctor shopping." Nearly 150 people were identified as each getting prescribed drugs from at least 30 different doctors. Auditors recommended that a state review committee get authority to require prescribers to justify practices deemed "concerning" and to collaborate with licensing boards and police. The state committee confidentially reviews prescriber, pharmacy and patient prescriptions, according to the Oregon Health Authority. It also developed criteria defining risky prescribing. When the committee spots a suspicious pattern, it typically writes to the doctor. A sample letter that state auditors reviewed said it was an "invitation to explore" the state's resources and "review your prescribing practice." The doctors don't have to acknowledge the letter, or take any more training or education, auditors said. The information can't be shared with medical licensing boards. Those licensing boards can obtain the state's information if they certify the information is needed for an investigation. According to the Health Authority, state licensing boards in the last three months of 2018 requested drug monitoring information 109 times. Department officials couldn't recall a time when they denied a request for such information from the board and said the requests are increasing. Police can obtain the monitoring program's data with a court order. By the time Oregon legislators established the state's prescription drug monitoring program in 2009, Oregon was behind dozens of other states already operating similar programs. Rob Bovett, former Lincoln County district attorney who at the time lobbied on behalf of law enforcement groups, helped lead the charge to create the monitoring program. The law was the result of "a lot of bargaining and compromise" between advocates and the ACLU of Oregon and the Oregon Medical Association, Bovett said. Police and prosecutors wanted to tackle prescription drug abuse at the source, Bovett said. "Oregon law enforcement doesn't just want tools to go after people for drug abuse. They prefer that drug abuse drop because they've got plenty to keep them busy and we just, quite frankly, don't have enough of them." The Oregon District Attorneys Association plans to review the audit report at its board meeting Friday, according to the association's executive director, Tim Colahan. Gary Schnabel, the executive director of the state's Board of Pharmacy from 1999 to 2014, said the board floated the idea of the state monitoring controlled substance prescriptions for years before the legislation was passed. He got the idea while at a national conference and learned what other states were doing. "It was the very beginnings of the opioid crisis, and it was a way to actually monitor opioid use," Schnabel said. The point was to identify people using more than a certain amount — whatever program administrators thought was appropriate — and let doctors know. Pharmacists hoped that the program could prevent issues like doctor shopping by having doctors intervene when they found a patient had multiple prescriptions for the same or conflicting drugs. But they didn't want to share the database with police or investigators. "The only people who (would have) access to that data were the patient themselves, or the patient's physician," Schnabel said. "Nobody else would have access to it." The state association representing doctors and the ACLU of Oregon resisted at first, Schnabel said. The ACLU of Oregon worried the program would invade patient privacy and could be susceptible to data breaches. Some health care providers also voiced privacy concerns, legislative records show. "They thought it was invasive," Schnabel said of the Oregon Medical Association. "They thought it might get physicians in trouble, thought it might be punitive against the physician for prescribing. They just didn't trust it." Courtni Dresser, director of government relations for the Oregon Medical Association, said the group never opposed the program. The monitoring system was cumbersome at first, said Dr. Amy Kerfoot, an Oregon Medical Association trustee who represents the association at the governor's Opioid Epidemic Task Force. In recent years, the association urged reforms to make it easier for doctors to use the monitoring data, Dresser said. In 2017, state lawmakers created the special committee to review prescribing practices of controlled substances. The bill was sponsored by state Rep. Knute Buehler, R-Bend, a surgeon, and supported by the medical association. The committee advises the Health Authority on interpreting prescription information and training prescribers. State law requires committee members be licensed health care practitioners with at least five years' experience prescribing controlled substances. The following year, Gov. Kate Brown asked the Legislature to mandate registration in the prescription program. 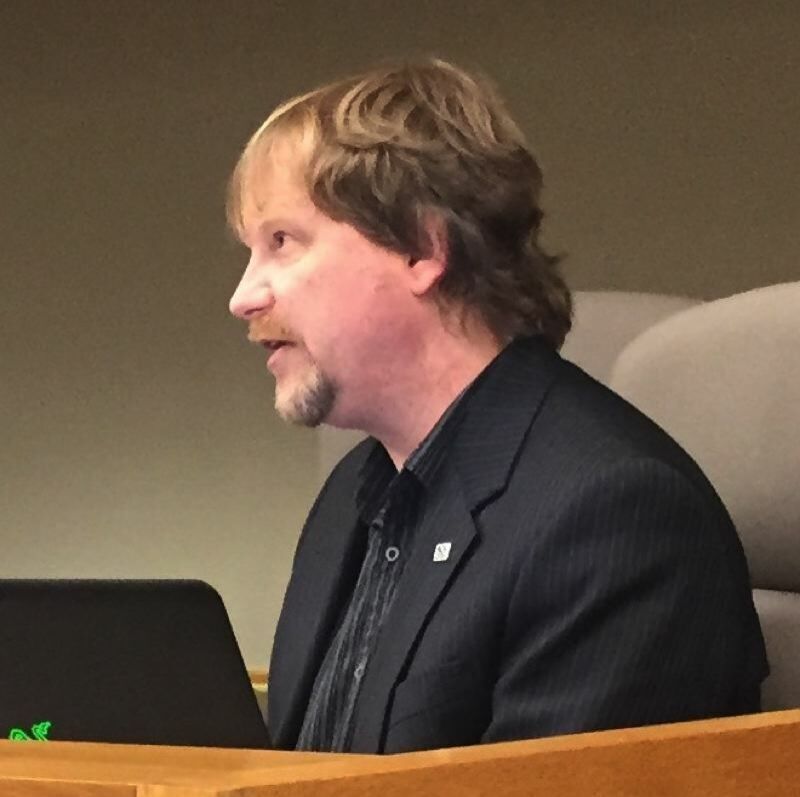 Kerfoot testified in favor, as did other health care groups like the Oregon Primary Care Association. 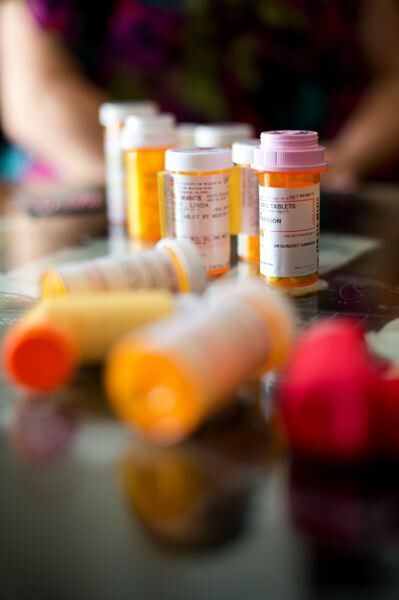 "Requiring practitioners to register with the Prescription Drug Monitoring Program is another important step in the right direction," Kerfoot wrote to lawmakers in a letter. She wrote that the program would be "a powerful tool to help providers rethink prescribing decisions that had been automatic in the past, but maybe should not have been for many patients." In an interview, Kerfoot acknowledged that the medical association was concerned that doctors would become more liable for their prescribing decisions. "You never want to have a legislative body sending out what a physician is liable for when they don't yet have the background on the patient, the indications, the rationale behind it," Kerfoot said. "They want prescribing to be safe, but prescribing is a tool that should be available to the people who need to use it — qualified physicians and pharmacists." But that law created no consequence for not signing up and doesn't require prescribers to access the database before prescribing a controlled substance. State auditors cited a study from the National Bureau of Economic Research that found opioid misuse decreased in states that required health care providers to check such a database. Dresser said requiring queries by law isn't necessary. "There's no need to mandate it because it will just be part of the workflow as the integration project continues," Dresser said. Oregon's program, auditors said, was "intended to be used for determining the course of treatment for a patient and should be rightfully protected," auditors wrote. "Yet it is also intended to help ensure appropriate use of prescription medications." The ACLU of Oregon maintains that the monitoring program shouldn't be used to punish or regulate doctors, but to help them improve medical care. In 2017, roughly 40 percent of prescribers were registered with the program, according to the Oregon Health Authority. By late 2018, after state outreach efforts, 83 percent of prescribers were registered. Additionally, only retail pharmacies must submit prescription data to the state. That leaves out pharmacies in long-term care facilities and residential treatment facilities, auditors said. There are 143 institutional pharmacies licensed in Oregon, according to the Board of Pharmacy. Of those, 56 are pharmacies in long-term care facilities. Those facilities often care for patients with chronic illnesses or disabilities, rather than patients with acute pain like a back injury.